Laterna magika in Prague commemorates 60 years since the moment when it was established as the first multimedia theatre in the world. It prepares an accompanying program for popular productions from 28th to 30th April with young artists taking part in the celebrations and meetings with eyewitnesses in traditional and non-traditional spaces. It will also draw attention to phenomenal success of the Czechoslovak pavilion at the Expo 58 World Exhibition in Brussels, where the program of Laterna magika was presented, said Lucie Kocourková, the spokesperson of the company. “We are going to prepare the reconstruction of a legendary production of Bohuslav Martinů’s The Opening of the Wells directed by Alfréd Radok with choreography by Zora Šemberová. It was made back in 1959 but it appeared on the stage after many turns in the Variation 66 program. Our visual artists are preparing a video installation inspired by the phenomenon of Laterna Magika on the New Stage landing. We will present two new books on Laterna magika in 2018 – one will have the subtitle The Golden Era Through the Eyes of Witnesses and will be about its history. The second one will be full of photographs and very up-to-date. And all the anniversary will be wrapped up by the production of The Garden,” she said. The second evening will point out to the successful production of Wonderful Circus, which has been in the repertoire for 41 years. The first performance took place in the Adria Palace and it has been on the New Stage since 1983 with more than 6,500 re-runs. About 550 of them have toured more than 50 towns in 17 countries. The third evening dedicated to the current dance production of Cube will also host the interactive backstage tour, and a discussion with authors. The new performance for the whole family The Garden will be staged at the occasion of the anniversary of Laterna magika foundation. 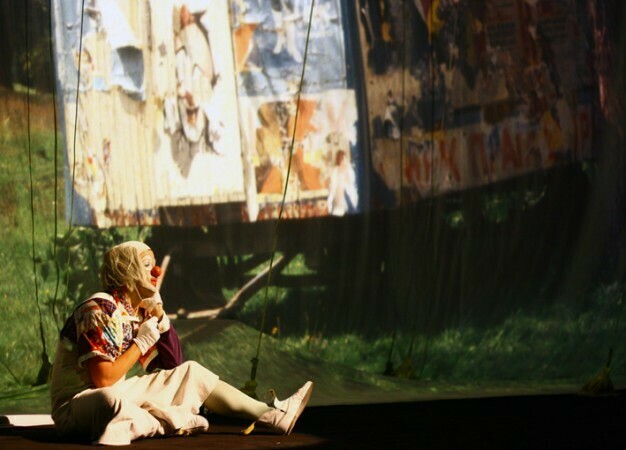 The performance is inspired by the work of Jiří Trnka, the classic piece of Czech puppet movie, as well as memories of the production team and dancers of their childhood gardens. Pavel Knolle, the artistic director of the company, is preparing the script with choreographers David Stránský and Štěpán Pechar. Music is composed by Jan Šikl and the visual artist is Jakub Kopecký, who created the stage design for Human Locomotion four years ago. The dramaturge is Lukáš Trpišovský. The history of Laterna magika dates back to 1958, when director Alfréd Radok and stage designer Josef Svoboda created the performance of Laterna magika for the world exhibition in Brussels and its Czechoslovak pavilion. They amazed the cultural world with a unique combination of live actors and dancers with music, film and other audiovisual technologies. The former cinema in Adria on Národní třída, which turned into a theatre with the program from Brussels, bore the same name. The next stage is represented by Laterna magika’s participation in world exhibitions in Montreal in 1967 and Osaka in 1970. The theatre has toured the whole world. The artistic director of the specific medium, which does not usually use words, works with the combination of projection, dance, music, light and pantomime, was the original co-author Josef Svoboda for a long time.